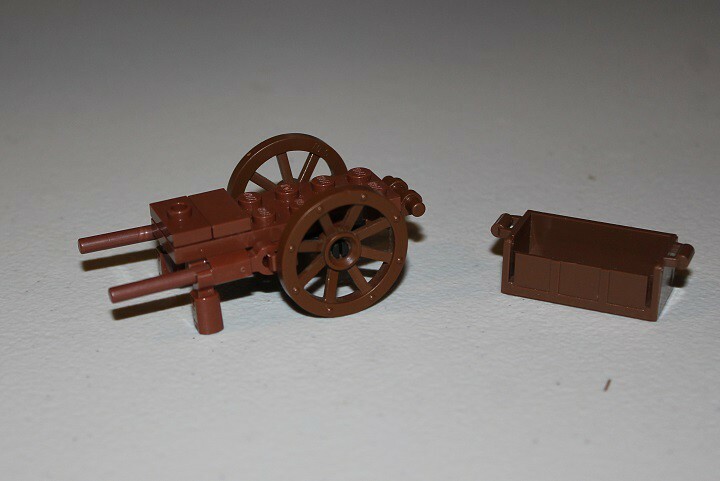 We've already done a tutorial on a couple carts and wagon designs, but it is always nice to have a good variety of designs for items like this. 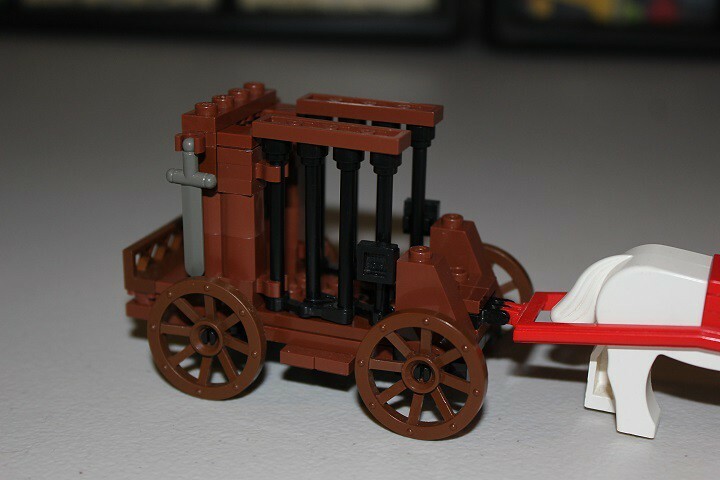 Keep reading to see how to construct a nice peddler's cart, prison carriage, and small hand cart. 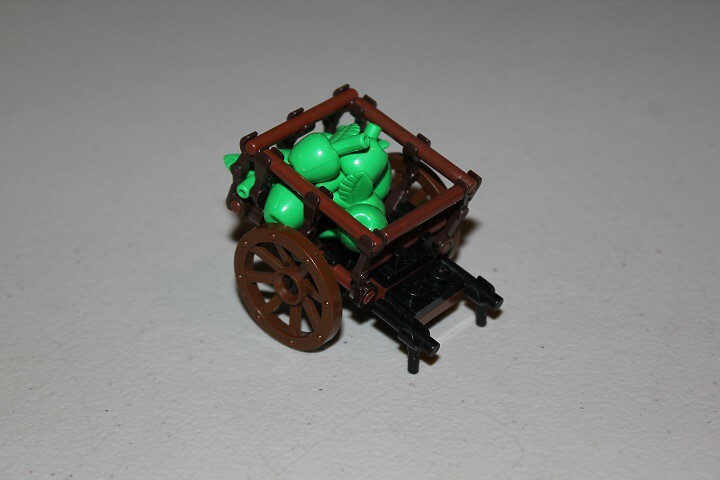 First off, lets start with this peddlers cart. 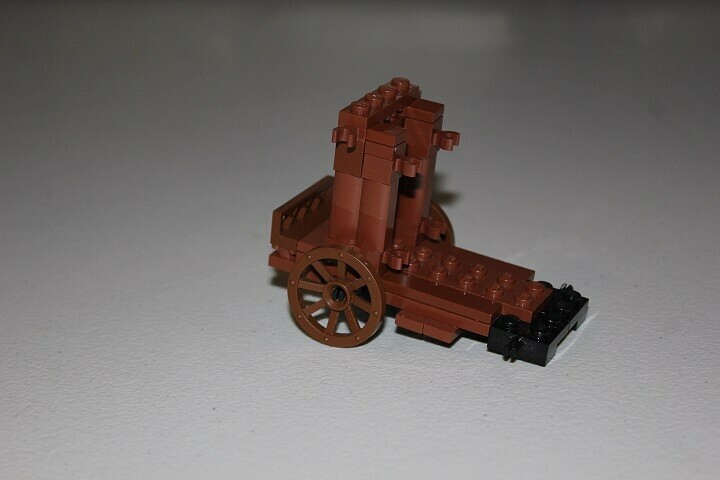 The base is very simple, with just a 2x6 plate and a 2x2 axle. Next well add the handles, which are comprised of several clips, and a 3 long bar. 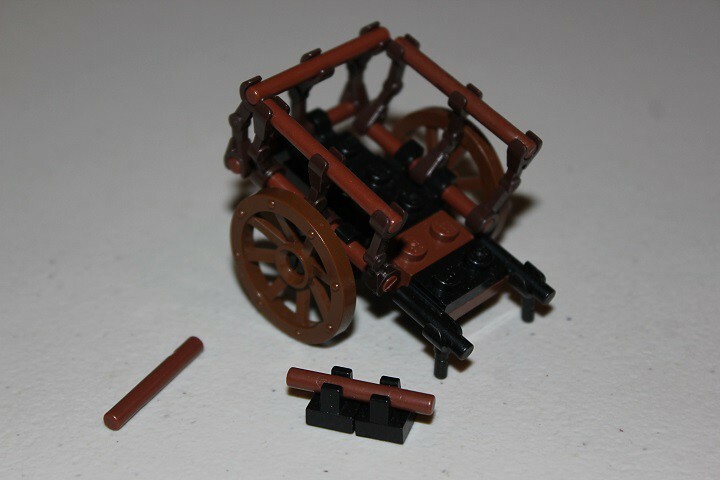 The 2x2 boat tile secures the axle and handles on, and you can also see that we added a 1x2 bumper piece to the back. 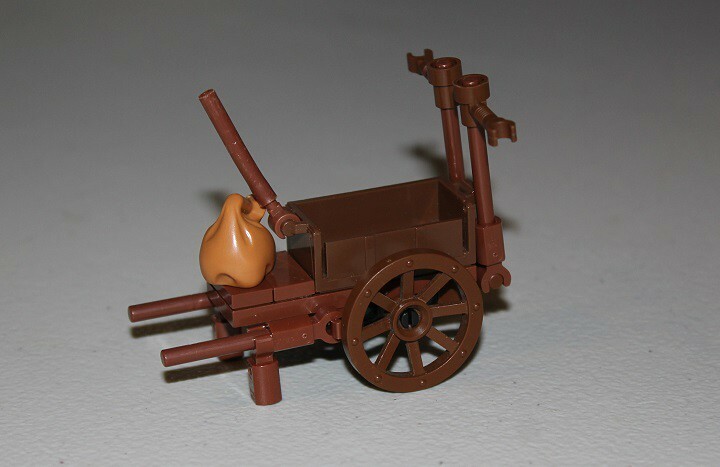 I used a treasure chest without the lid for holding fish on my cart, but you could also use barrels or crates, or even make your own container! Here I used a 3-long piece of flex tubing with a hand stuck in the end to hold up one end of the awning that will go on top. It may be a bit tricky to get the hand in, but it should eventually slide inside. Here we are making the back supports for the awning, which will attach onto the 1x2 plate with handle. 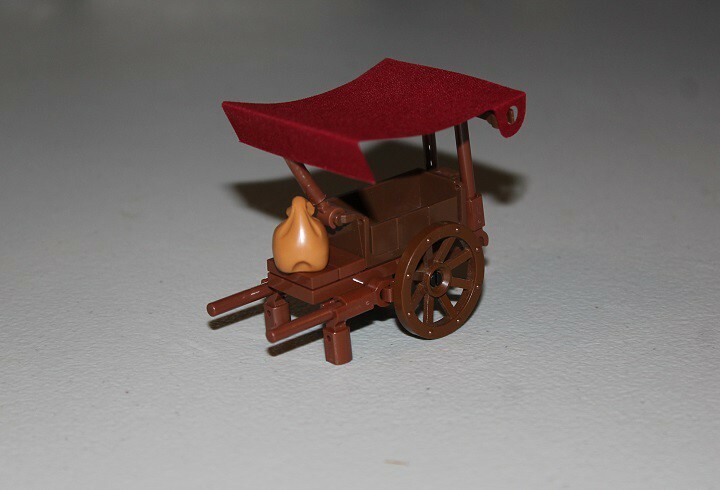 Then, just stick the awning on, and you have a nice cart! 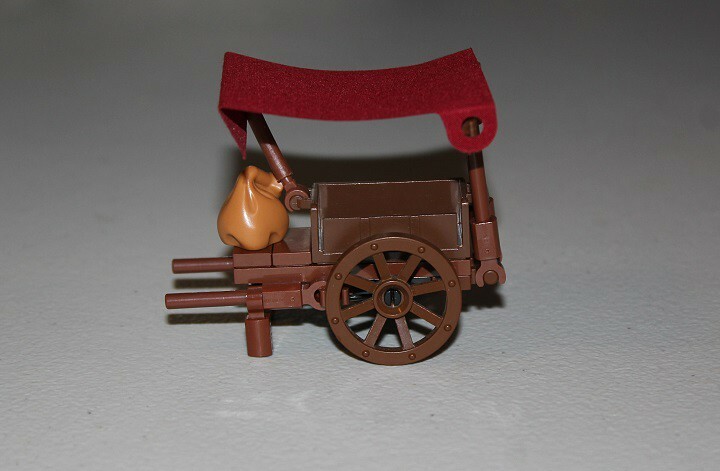 Other cloth parts, or even a brickbuilt version could be substituted for this particular awning if you don't have one. 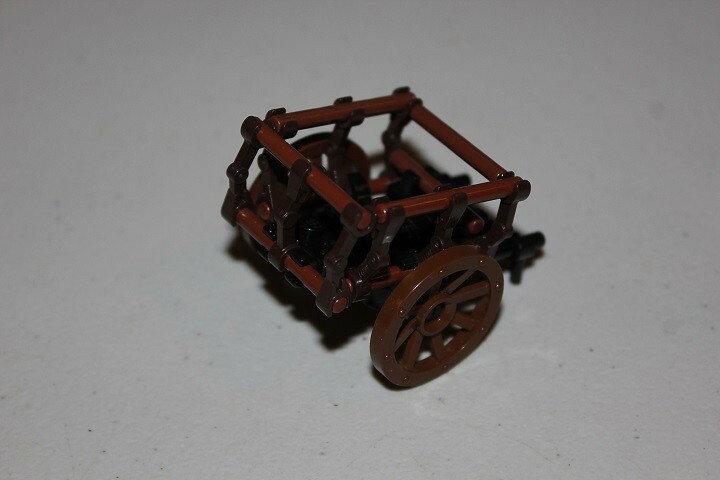 Next up, we have a prison carriage, in case you have some mischief makers you need to lock up. Once again, the base for it is quite simple. 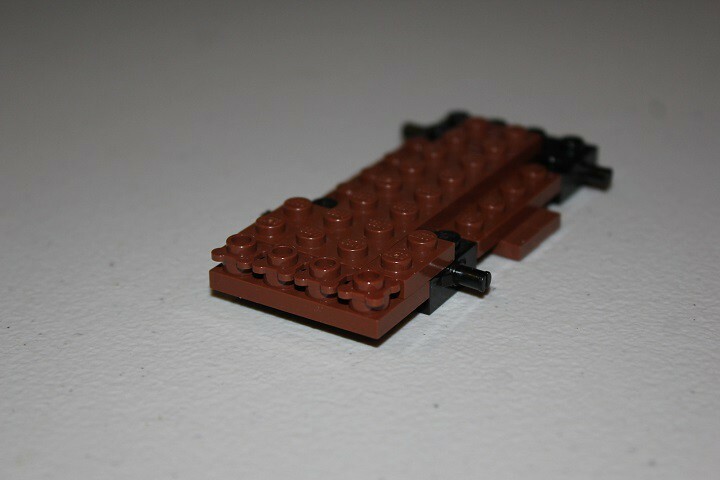 The 1x2 jumper plates sticking out make little steps,and the 2x2 boat tiles hold everything together for now. Next we add some plates to the top. The reddish brown friends flowers on the back give a little bit of decoration. 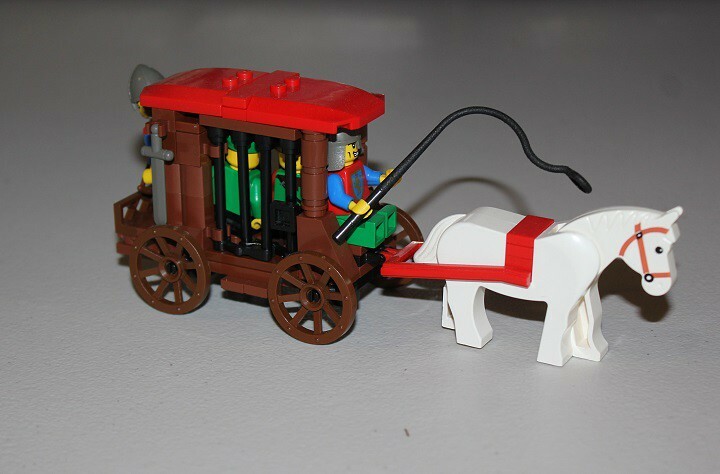 If you want someone riding on the back of your prison carriage, youll want to attach him, which is what the 12 jumper plate here is for. The lattice also adds a little of decoration, but you could switch it out for something else if you prefer. 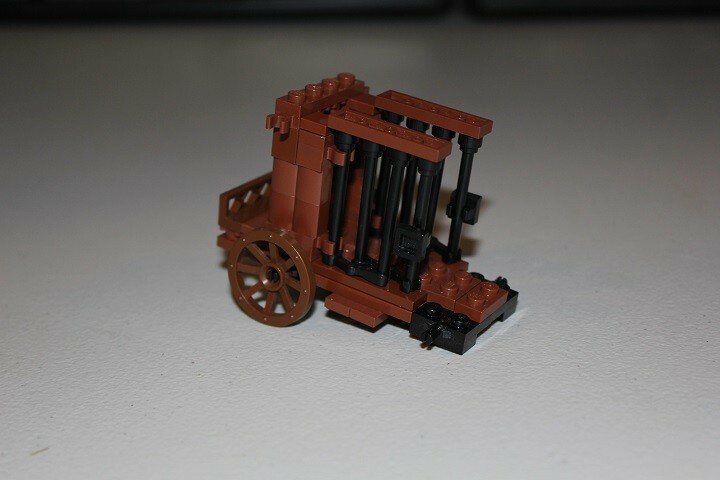 A couple clips to attach the doors with are added, and the 3 long bars on the back are attached with 1x1 plate round with hole. 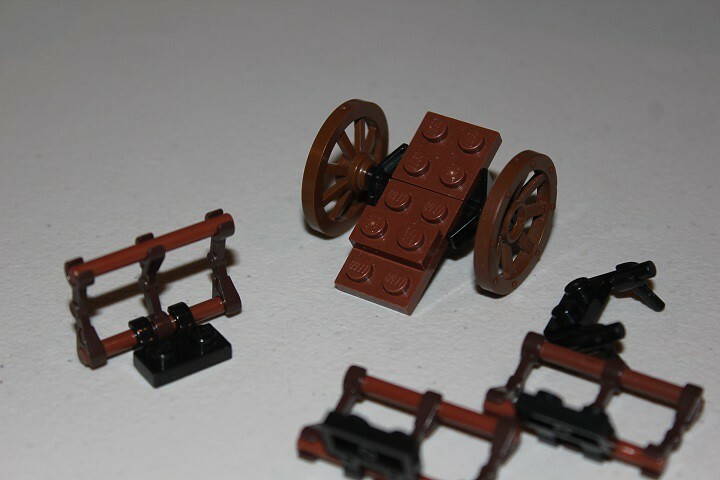 Next we build up the walls of the carriage with some log bricks, and then put on the arch that goes over the bars. 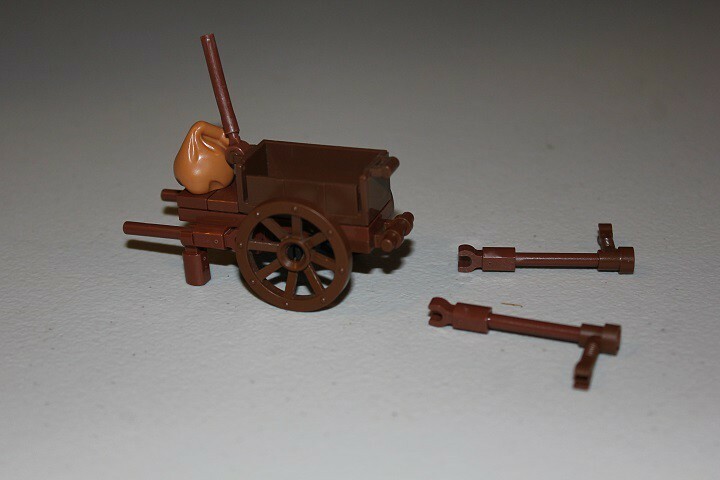 The clips on the side there are for holding weapons or torches. The last clips for the doors are added. And here are the doors themselves! 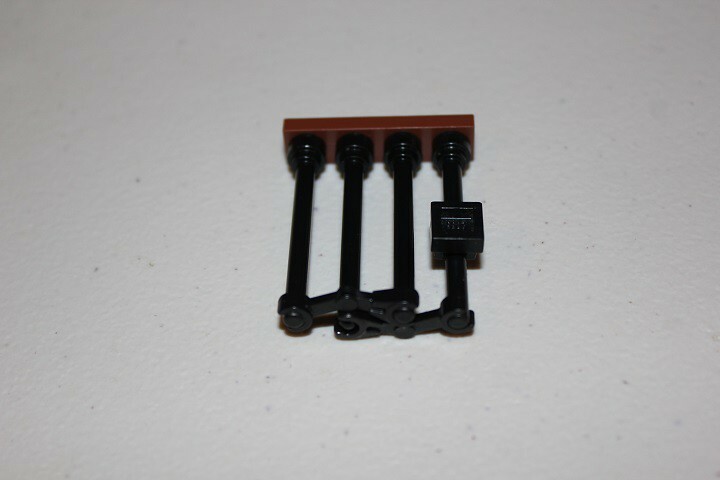 The droid arms on the bottom add a little more strength to them, and the 1x1 tile with clip makes a nice door handle. Notice that the tile to the left of the door is a plate lower that the door itself this is so that the door can swing open and closed, but if you didnt want that functionality, you could fill it in. 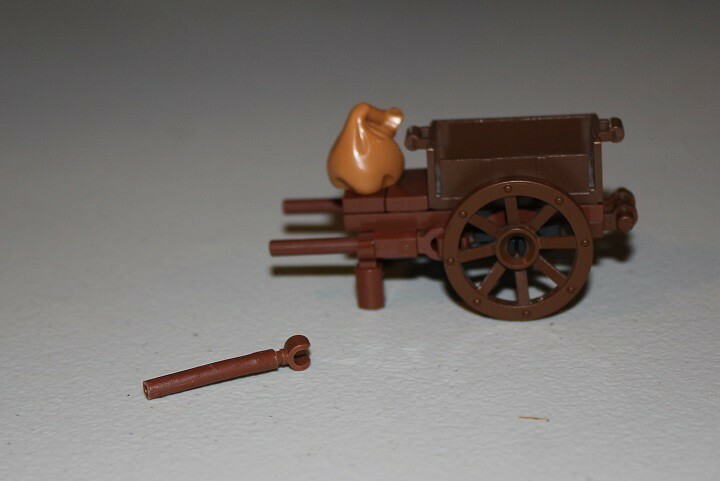 The front wheels are put on, as is the hitch for the horse. 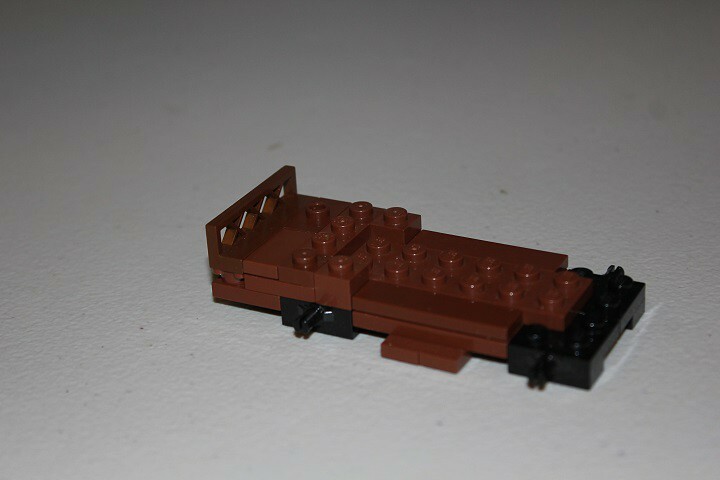 You could replace the reddish brown 1x2 jumper plates for a different color if you wanted, to represent a cushion for the driver. 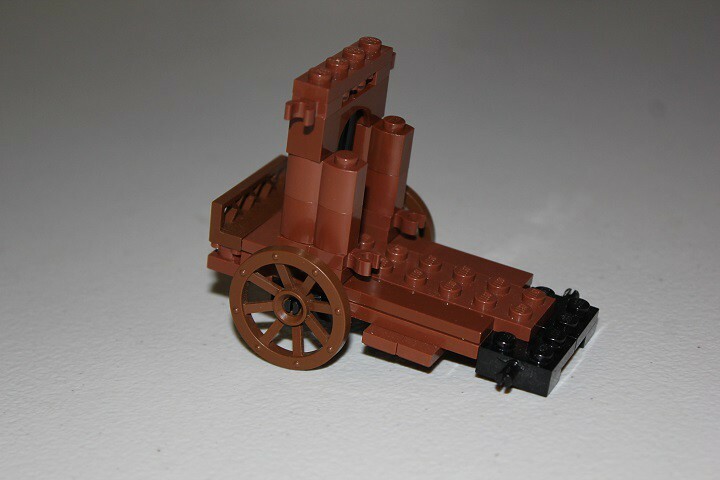 A couple 1x2x2 slopes frame the drivers seat, and are continued up with some 1x1 round bricks and plates. Under the roof you can use any color you want, I just used a yellow plate here as it was nearby. 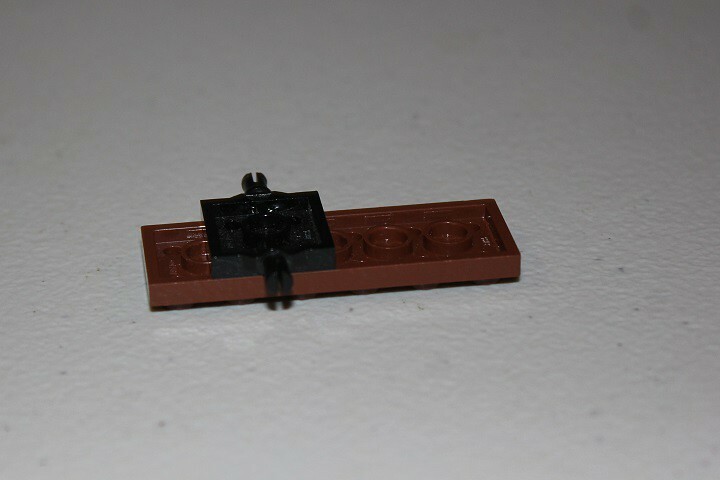 A couple of the 4x4 car roofs make the ends, and a 1x4 tile with 1x1 plates on either side goes in the middle. 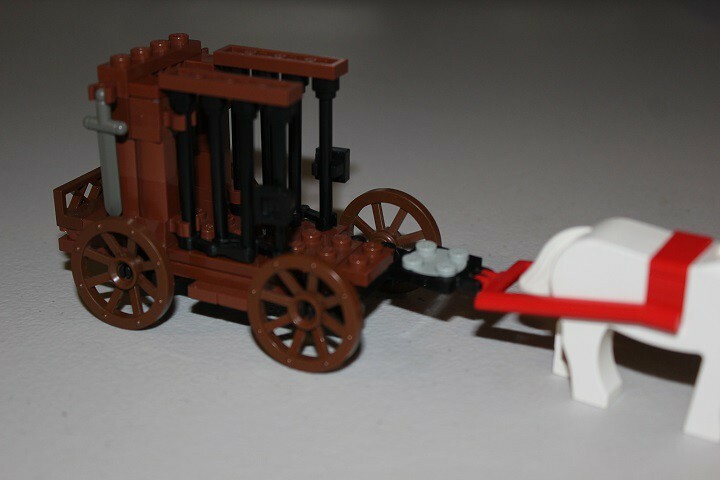 And here is the completed carriage! It can fit 2 guys inside, although it is a little cramped. 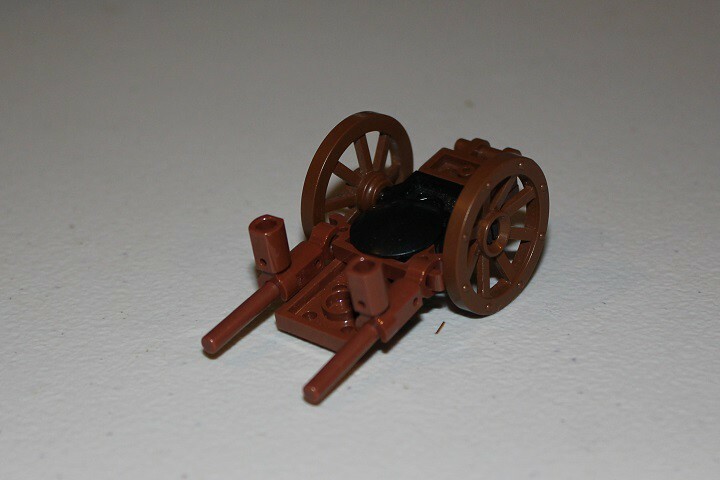 Still, a prison carriage isnt exactly made to be comfortable, right? 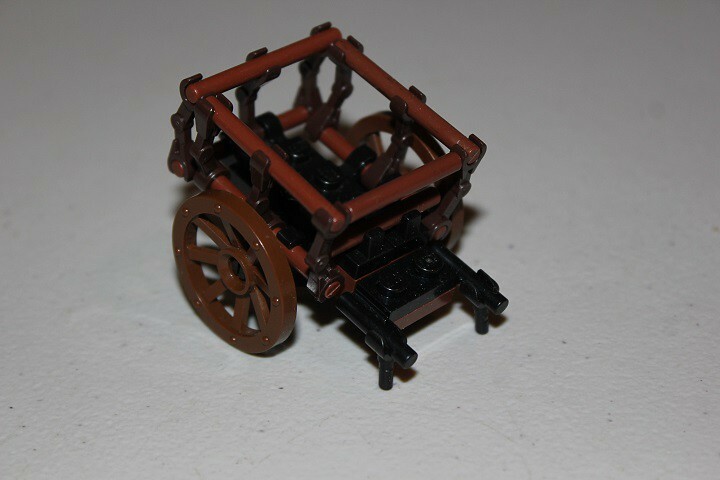 Lastly, here is a small handcart. 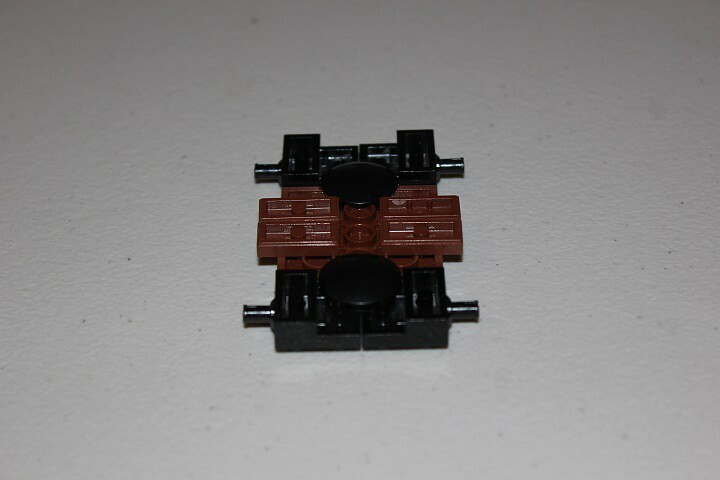 A 2x2 and 2x3 plate attached off of the axle for the base. 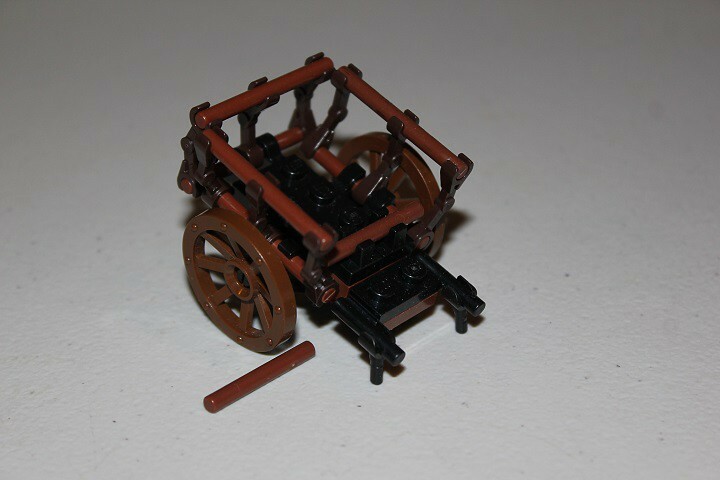 Next the clip/bar assemblies are attached and the handles for the cart. 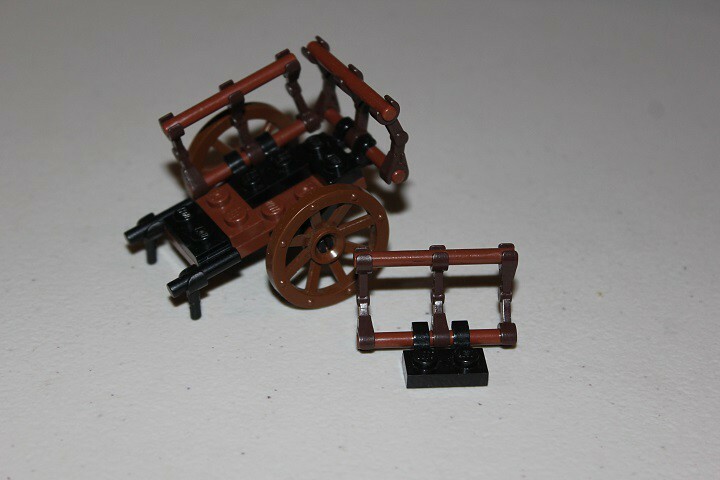 A couple hands make a nice stand for when the cart is not in use. Now only a few bars need to be added. 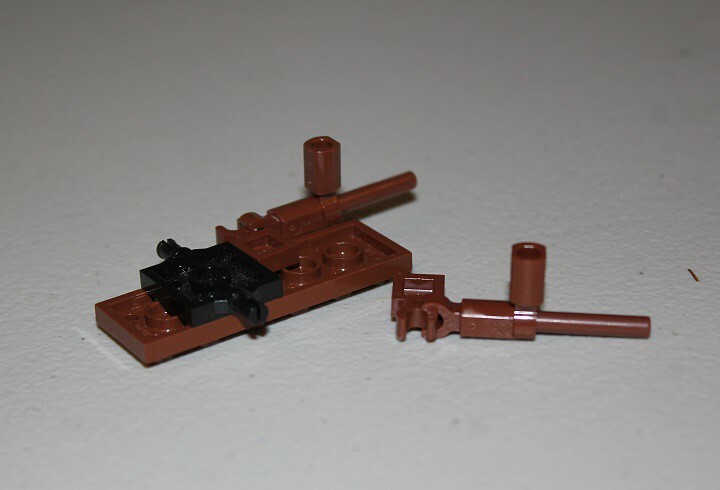 The bottom one can be attached by tiles with vertical clip. 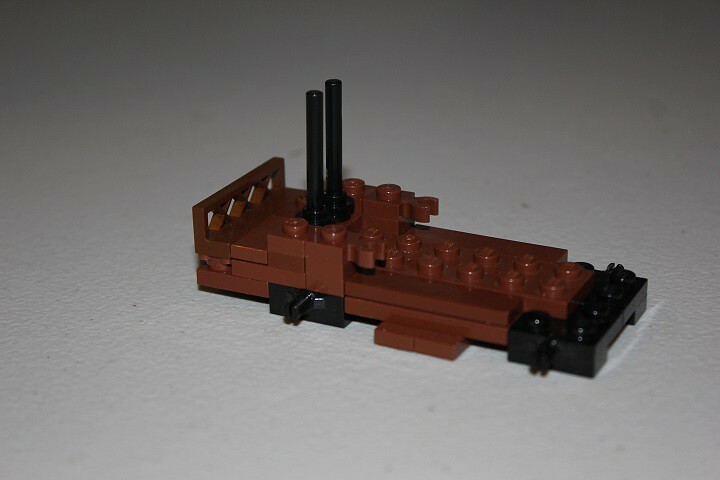 However, the last one is simple held in place by the sides. 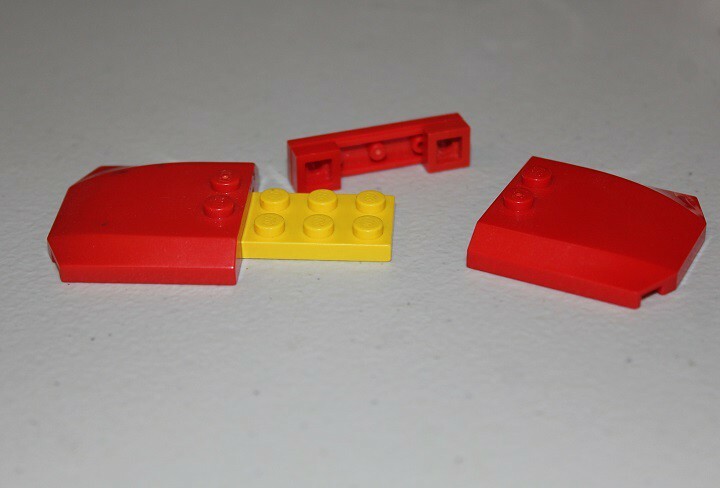 Fold the sides in onto the ends of the bar and it should stay in place easily, unless bumped into by something. 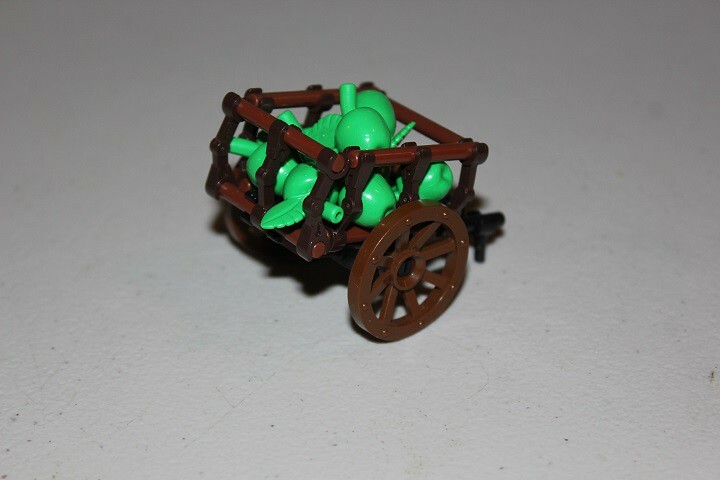 Fill it with some produce or other supplies, and youre set to go! We hope you found this tutorial useful, and we are always looking for ideas for new tutorials, so comment below if you have any suggestions. InnovaLUG, the InnovaLUG logo, and all content not otherwise stated, ©2016 InnovaLUG.